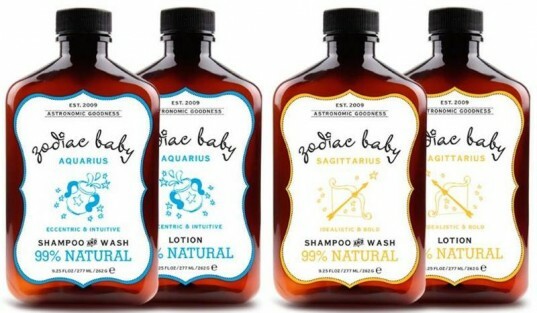 What could be cuter in a new baby gift basket than an adorable (and safe) bottle of baby wash or lotion with the baby’s astrological sign on it!? That’s what the new line Zodiac Baby offers, along with many sustainable features. The Zodiac Baby collection was created for babies ages 3 months and beyond. The collection is not USDA certified organic, which we like to see in baby care products, but the line does have many other promising attributes and the packaging is gorgeous enough to make these products perfect to give as a gift. Zodiac Baby offers baby shampoo & body wash that’s made with natural coconut derived cleansers, soothing Aloe & hydrating Vitamin B5. Their baby lotion is made with moisturizing Shea Butter and Jojoba Oil, conditioning Coconut Palm Oil, hydrating Vitamin B5, Vitamin E, and soothing Aloe. 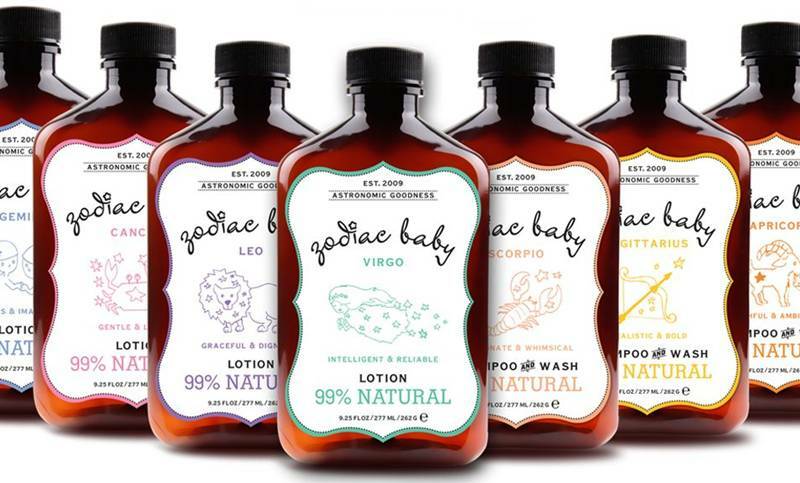 Zodiac Baby products are free from parabens, sulfates, PEG and are pH balanced for your baby’s skin. They offer a listing of ingredients at their website too. The company is forward about their ingredient choices regarding fragrance, noting, “Natural fragrances are comprised of essential oils or botanical infusions. These natural compounds are often very saturated and can cause babies and children to experience allergic reactions. We chose to use very small doses of naturally derived, micro-encapsulated fragrances in order to significantly reduce the chance of allergic reactions.” Zodiac Baby is a member of PETA’s Caring Consumer organization, meaning all their products are cruelty-free and not tested on animals. All products are packaged in recyclable materials and a portion of proceeds are given to children’s charities.